Tremendous staff! The manager was helpful, accommodating and super nice! Charlene went out, out, out of her way to ensure all that I desired and enjoyed for my two breakfast meals. She indeed spoiled me! Nice shower (no tub in room), TV good, no issues with room. The breakfast buffet had a good selection of foods ranging from hot sausage and egg to cereals and fruit. My favourite element was the pancake machine, a mini event in itself. An excellent way to start the day. There are some very helpful members of staff who care. But they are fighting a losing battle. It was a convenient location to where we were going. The front desk staff was extremely busy checking guests in, but she acknowledged everyone by asking how everyone was doing when they came to the counter. No one felt rushed during the process. There was a big hole in the hall way ceiling on the way to our Room and the was a mouse or rat trap under our bed with all kinds of stuff under there. Front desk people were nice. Closeness to airport. Best Western Plus BWI Airport North Inn & Suites This rating is a reflection of how the property compares to the industry standard when it comes to price, facilities and services available. It's based on a self-evaluation by the property. Use this rating to help choose your stay! One of our top picks in Baltimore.The Best Western Plus BWI Airport North Inn & Suites hotel is 4.1 mi from Baltimore/Washington International Thurgood Marshall Airport. The hotel offers free 24-hour shuttle service to the airport and is 4.3 mi from the Amtrak/MARC Station. The property also features a complimentary American hot breakfast buffet, WiFi, 24-hour business center, complimentary parking and a fitness center. 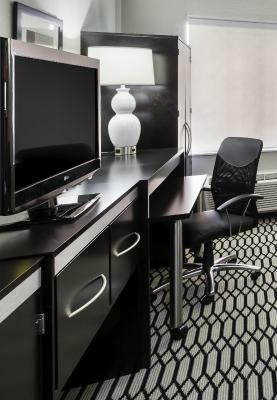 All guest rooms feature iron, ironing board, hairdryer, coffee maker and cable TV. The hotel is 6.2 mi from Oriole Park at Camden Yards baseball facility and M&T Bank Stadium (home of the Baltimore Ravens football team). Baltimore Inner Harbor is 9.9 mi away. National Aquarium is 7.5 mi from the property and Cruise Maryland Terminal is 8.9 mi away. Downtown Baltimore is 9.7 mi away. When would you like to stay at Best Western Plus BWI Airport North Inn & Suites? House Rules Best Western Plus BWI Airport North Inn & Suites takes special requests – add in the next step! Best Western Plus BWI Airport North Inn &amp; Suites accepts these cards and reserves the right to temporarily hold an amount prior to arrival. Best Western Plus BWI Airport North Inn & Suites accepts these cards and reserves the right to temporarily hold an amount prior to arrival. Guest may be required to provide an incidentals deposit on a credit card at check in. room and bathroom were small, and breakfast didnt have a good selection. pictures online were misleading. convenience shop located inside hotel was only a room with two vending machines. carpets in hallway were badly stained. refrigerator in room wasnt very clean. convenience to interstate, quiet, staff were nice. Breakfast was good. Location is great nearby the airport. Great location, for travelers, great breakfast!!! If this is a Best Western Property and representative of the brand I can safely say we will never stay at another Best Western again! This is the dirtiest filthiest hotel I have ever seen in my life! There are stains on the carpet on the walls on the doors dirty towels in the hallways extremely slippery floors and tubs no bars in the shower housekeeping supplies left in the hallways blocking the elevators and duct tape holding together electrical wires... Mold surrounding the bathtub and in the corners of the bathroom. When we checked in another family asked that the mold in their room be sprayed! I have to say there is not one thing the staff could do to get that property up to safety or cleanliness standards in any way.They most likely work as hard as they can and are continually frustrated with the lack of management input and tools to do their job well. When we checked in we were given a handicap room walked in and basically it has been demolished. Nobody seemed to know which rooms were available at all. Again in all fairness the front desk gal did give us a room on the third floor with a king bed There was no bedspread the pillows were about 12 x 12... TV was on when we entered the room and the toilet was up. Again I don't think I can fault the staff I think they are overwhelmed so kudos to them. I also want to say to booking.com and any other booking agency that represents this hotel... do a check safety and otherwise... You would absolutely be a appalled. This property should be represented by no one! If you have a reservation here cancel it and stay in a different Hotel. Seriously I found it heartbreaking to think that a family or an older couple would check in here and have to deal with any of this. I would consider this hotel a huge legal liability and safety issues are non compliant. Bed was cold, lights didn’t turn on, noise at night, airport shuttle didn’t pick us up, staff gave us the wrong room key and someone was in our room. Very very dirty, everything from the walls at the front desk, the carpets in all the hallways, the falling ceiling on the 4th floor near the elevator / ice machine to the mold in the shower and on the AC unit in the room. The towel holder in the bathroom nearly falling off the wall, the toilet paper holder actually fall off the wall while using it. Not having sheets or a blanket for the pullout bed, going to get some at the front desk and only were given one sheet. Not a great experience at all and definitely would not recommended to anyone. I do have to say that the staff was friendly. Glad we didn’t get charged for the leftover food that was left in the fridge in the room. Some of the things in the room were broken prior to arriving, such as the toilet paper holder, it was coming off the wall. The pull out couch didn’t have any sheets or blankets so we had to go down and ask for them. On friday, when arriving back to the hotel our room keys weren’t working so the gentleman in the lobby helped but didn’t really seem like he wanted to help. Renovations are being done and it's a bit dated in appearance inside. Seem like middle of nowhere The shower floor was cracked Mixing the room key's someone was in the first room and it was a lil hard to get in the second one they gave us.